We’ve had some feedback from some of our singers who wanted to know how we decide on what concerts to do each season. We have a little section about booking BeVox for concerts on our website, but we realised that we don’t really explain it very clearly to our singers when they first join us. So, this post aims to lay out our process for organising concerts – how many we do, who we do them for, and how to make them happen. We consider our events to fall into three different categories – based purely on who is producing them. When we talk about producing a concert, we’re referring to the process of booking a venue, finding an audience, selling tickets or taking donations etc. The best way to think about who is producing an event is to consider who is taking the financial risk of putting the event on. If no-one came, who would be out of pocket? We do a minimum of three BeVox-produced events every season – one in each of the areas that we operate. In the Autumn and Spring seasons, we will do two “end of season” concerts (in two of our areas), and one “big concert” in the third area (and we rotate the “big concert” around our three areas in order – for instance, we’re in Lincoln this season, Sheffield next season, and so the next big concert after that will be in Nottingham). We break this pattern for the Summer season, as experience has taught us that people are often away at the end of the Summer season and so we don’t always have enough singers to do a “big concert”. For the Summer season, we do an end of season concert in each area, and a “special event” that isn’t based in any of our three locations – it’s either somewhere in the middle, or somewhere else entirely! These events are things like the CD recording we did this summer, or the “Musical Mystery Tour” we’re planning for next year. For all of these events, we produce the concert, so we are responsible for every aspect of it – booking a venue, advertising, selling tickets, checking tickets on the night, looking after the audience etc, as well as all the musical and logistical details. Tickets for these events are available from us (depending on the event, either directly in our weekly sessions, or via our website), and the proceeds cover the cost of putting the concert on, with anything left over going into choir funds (although we sometimes, when we feel it is right, partner with a charity and donate some of the proceeds to them). We are happy to take bookings for concerts from any external organisation. We’ve done hundreds of events this way – everything from singing in retirement homes to charity fund-raising events in cathedrals. 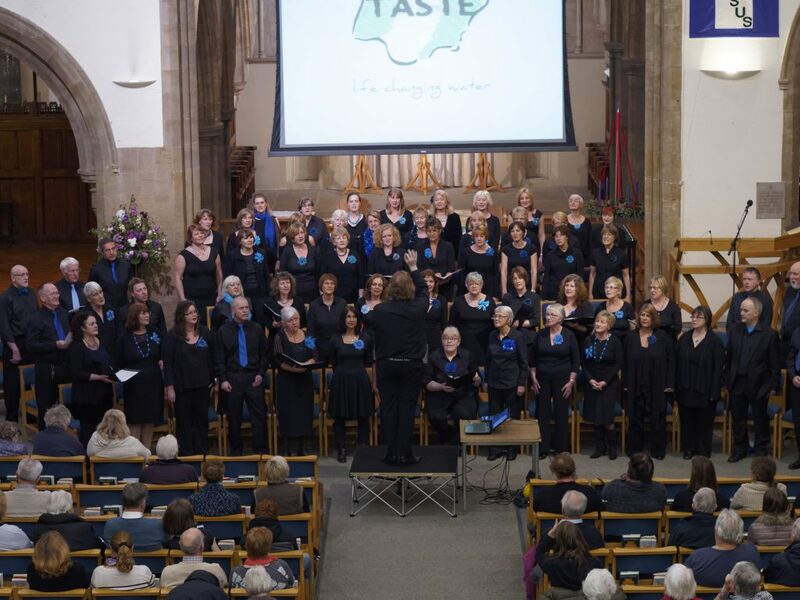 We have a straightforward process for organisations who want to book us – they provide a venue and an audience, we provide the choir and all of the musical equipment to support the concert (PA, mics, piano etc). We also provide promotional material for the producers to distribute. As the external organisation is producing the event, they are responsible for ticket sales (or any other method of allowing people to attend the event), and they take the proceeds from the event. We charge a fee to the producers for providing the choir, equipment, and organisational support. This is on a sliding scale depending on the nature of the event, and discounts are available for registered charities. We are often booked by external organisations because one of our singers has recommended us to that organisation. For instance, we have sung for residents at a local hospice on several occasions, because some of our singers who work there suggested to their manager that it would be good to book the choir to sing. We get the majority of our bookings from external organisations because of an introduction made by our singers, although some people have just found us by searching the internet, or by word of mouth. Because we’re dependent on receiving bookings for these kinds of events, the number we do each season varies depending on who books us. In 2015, we did 39 of these events, and in 2016, we did 20. We’ve done a few events which have been produced by some of our singers. These have normally been where the singers in question have a close personal connection to a particular charity, and they’ve wanted to do a concert to raise funds for that charity. They have secured a venue, advertised the event (using publicity material that we provide), sold tickets, and run the front-of-house on the night. We have provided the choir, musical equipment, and as much practical advice and support as we possibly can! We understand that this process can appear daunting to people who have not produced a concert before, so we help as much as we can along the way – by sharing our experience, by recommending suppliers, by being a sounding board for bouncing ideas off – and by providing moral support too! We do still make a charge for these events, to reflect the work we put in, but it typically only takes a small number of people buying tickets to the event to cover the fee we charge. The events that our singers have produced themselves have been resounding successes, and have resulted in significant donations to the charities our singers have wanted to support. Over the last three years, we’ve done six of these events. We’d love to do more! We would like to actively encourage our singers to get involved with making events happen. We will always produce at least one event in each of our areas every season, so there will always be an opportunity to perform locally. We’re very happy to do more events than this. We do have a maximum number we’d consider in a season (there’s a limit on how much work we can squeeze in, plus we have other commitments that can reduce our availability too), but until we reach that maximum number, we’re open for bookings! Part of our philosophy as a choir is to encourage our singers to take responsibility for their own involvement – we know that people achieve their best, and get the most satisfaction possible, when they are fully invested in what they’re doing, and the best way to achieve that is for more and more of our events to be led by our singers. 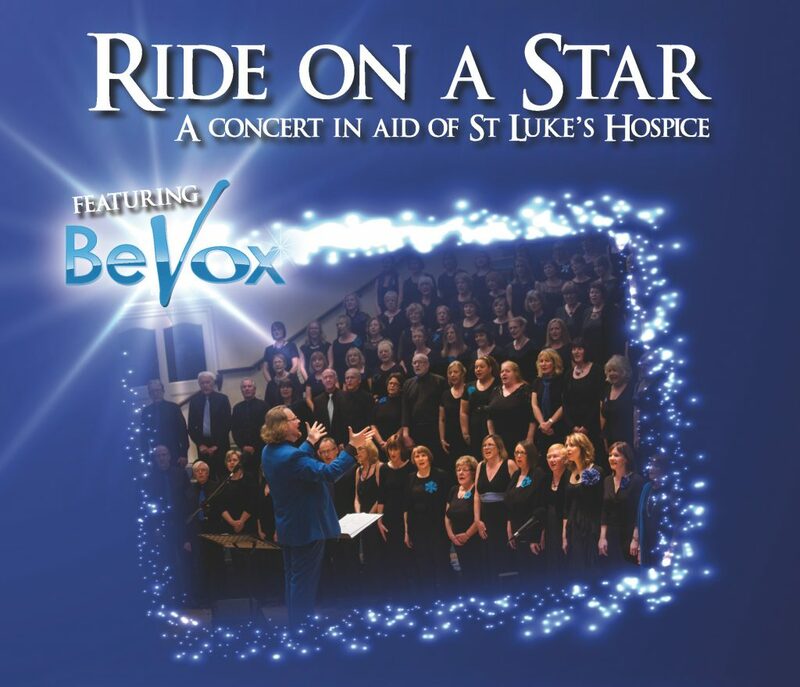 If you’d like to consider booking BeVox for an event, whether you are one of our singers, or a representative of an external organisation, please get in touch. We have a Performance Enquiry Form that guides you through the process of booking us, and this includes all our fees. We recommend making initial contact with us 3-6 months in advance of your event – or even longer if you’d prefer. We usually have three periods of the year where we take bookings – late March to late April, late June to late July, and mid-November to mid-December. We will consider events in all kinds of venues, but we’d recommend locations that are within 15-20 miles of Nottingham, Lincoln or Sheffield.